Garett Byrne, a local 18-year-old and winner of the O’Brien House essay contest, sits with O’Brien House Executive Director Todd Hamilton. Photos by Collin Richie. It can be hard to understand addiction. That’s the opening paragraph of the essay he wrote about his parents’ descent into addiction during his childhood. He describes their tumble from prescription painkillers to meth and their eventual incarceration. But Byrne’s story doesn’t end in tragedy. Both of his parents are now in recovery and rebuilding their lives, with his mother even working as a substance-abuse counselor. And his bruising story is what drives him to work even harder, to push for openness and honesty about addiction. It’s also what helped him win an essay contest last year organized by local recovery center O’Brien House. O’Brien House facilitates residential treatment, outpatient care, prevention programs and other services, with an emphasis on preventive programs and early intervention—including working with local teens. O’Brien House board member Amy Strother, who pitched and organized the first competition for high school students last year, also has some firsthand experience. She’s lost two sisters, one to suicide and one to overdose, and she had several loved ones go through O’Brien House even before she joined the board. She started the contest as a way to create a dialogue with youth in the community about addiction and how widespread its effects are. After the success of its first year, the contest will expand this year to include essays written by both teens and adults, though young people remain the focus. It starts with visiting local schools and talking to teens face-to-face, as well as educating parents of addicted teens about supporting their recovery. And with O’Brien House’s essay competition, young people are invited to tell their own stories of how addiction has gotten its hands on their lives. A big part of the picture, says O’Brien House Executive Director Todd Hamilton, is combating the stigma that isolates people touched by addiction—especially young people. 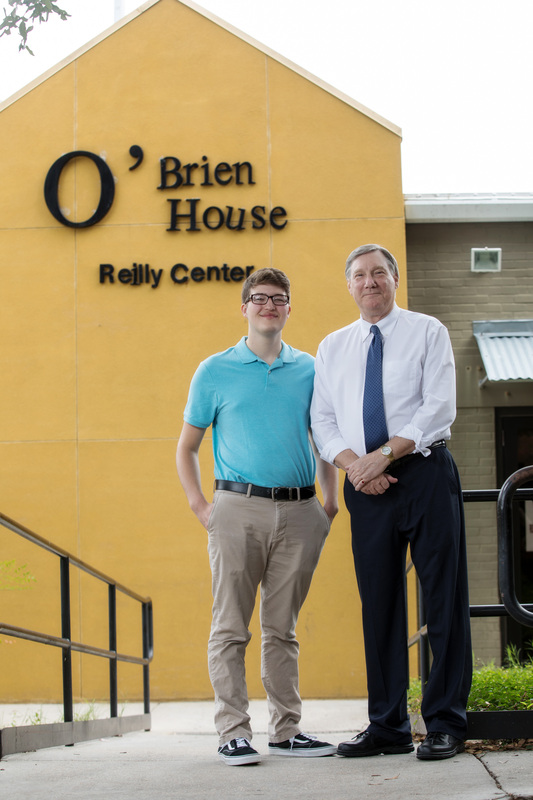 The work O’Brien House does isn’t easy—funding is hard to come by, and they need the resources for comprehensive rehabilitation, from breaking habits to managing a savings account. Right now, the facility in Downtown East is in need of a new roof. But when a community is reluctant to talk about addiction, it can be hard to convince people to help fund the center. That’s where an open conversation can help.